Lynn Motheral, CGR, is a long-established, award-winning Remodeling Contractor in the Dallas/Fort Worth community. He has based his business on the premise of professional work, done in a timely fashion, resulting in top value for the client's dollar. 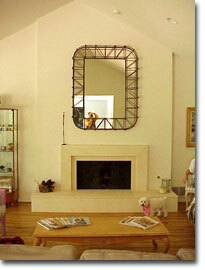 Austin Design/Build specializes in custom designing/building and is a full-service remodeling firm. The objective of Austin Design/Build is to take your ideas/plans and transform them into a reality that you can be proud of and that is within your budget. Austin Design/Build craftsmen are experts in, but not limited to, the areas of: Kitchen Remodeling, Bathroom Remodeling, Handicap-accessible Remodeling, Complete Interior & Exterior Painting, Roofing, and Room Additions. Austin Design/Build believes that communication is a very vital part in creating satisfied customers. Austin Design/Build makes every effort to be available to the homeowner so that the communication lines will be open, and a timely schedule will be kept. Austin Design/Build takes prides in continuing education within its fields of expertise and will provide you with a well-crafted remodel on every job. You will be met with a friendly and courteous attitude readily available to meet your every need. R. Lynn Motheral Founded his company in 1981. Lynn has been involved in the building trades since high school with experience running the gamut. His firsthand experience will help the client easily maneuver through the obstacles involved in remodeling as well as trade and code regulations. Lynn attained his Certified Master Remodeler and Certified Master Builder certification in 1996 and his Certified Pella Contractor certification in 1997. He acquired his Certified Graduate Remodelor status from the National Association of Home Builders in 1999. As 2000/2001 President of the Greater Fort Worth Builders Association, Lynn is the first remodeler to have the honor of this position. 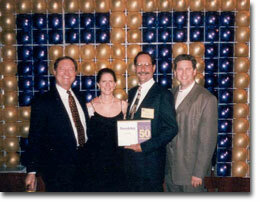 Lynn was designated as a "Big 50" Remodelor in 1996 by Remodeling Magazine. Lynn has served and is currently serving in numerous leadership capacities within the building industry. Since 1994 he has been on the Board of Directors for the Greater Fort Worth Builders Association. Working his way up the ladder of the Texas Association of Builders, Lynn served as Secretary, Treasurer and President of the Texas Association of Builders Remodeler's Council. He is currently a life State Director of the Texas Association of Builders. Other organizations Lynn has been involved in include: National Association of Home Builders, Certified Master Builders of Tarrant County, Greater Fort Worth Builders Association Government Affairs, Greater Fort Worth Construction and Fire Appeals Board, Pella Windows Advisory Board, Texas Building Trends Advisory Board, Cowtown Executive Association and many others. Lynn has been involved in television programs as well as radio talk shows, using his expertise to update the public on what is happening in the building industry. The latest appointment that Lynn has been given is to the Construction Research Advisory Board Executive Committee for The University of Texas at Arlington.